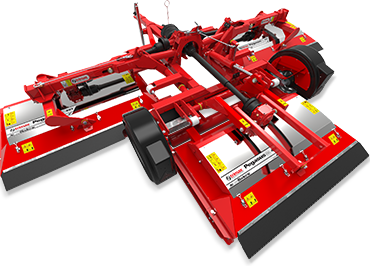 We build machines for sports fields that produce the best cut possible whilst ensuring you spend less time and money on maintenance. Trimax Sports & Field Mowers provide pristine presentation and striping with minimal clumping and a fine clip not only dry conditions but also in the wet and in spring growth. With high up times and unsurpassed reliability Trimax Sports and Field Mowers offer an industry leading low total cost of ownership and carry a marketing leading three year warranty. These machines are ideal for cricket, polo and football fields. 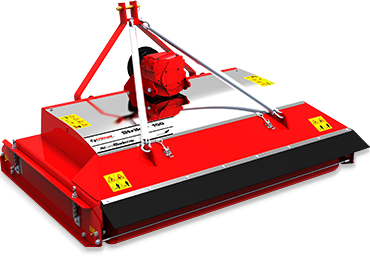 All Trimax mowers are equipped with either our unique Gamma™ Flails or our patented LazerBladez™ for a high cut quality, fine spread and maximum performance. If you’re looking to mow a large area of grass quickly and with pristine presentation then request a demonstration of a Trimax mower today. Download our catalogue to find out more. Able to mow quickly to a high standard Trimax Striker is ideal for educational and sports facilities and green spaces where presentation is key. Minimum tractor requirement 25hp. The Trimax ProCut has been engineered to withstand use in the toughest commercial environments. One of the best sports mowers on the market. Minimum tractor requirement 35hp. Designed for sports turf and golf courses, Trimax Snake has the unique ability to transform a variety of conditions into an even carpet of green. Minimum tractor requirement 35hp. 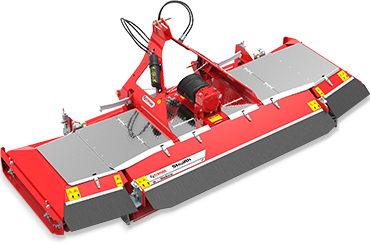 Available in 4.9m and 6.1m widths, the Trimax Pegasus S4 is our latest exceptionally low-maintenance trailed rotary mower. Minimum tractor requirement 65hp. 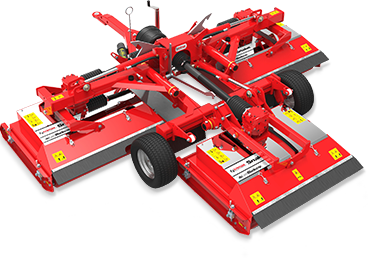 The concept of Stealth S3 was born from the demand for a mower that was more versatile in terms of long grass performance and more user friendly for both operator and the workshop. Minimum tractor requirement 60hp. We’ve been researching and developing our mowers for the last 30 years, focusing on reducing grease points and enhancing cut performance. The result – you spend less time and money on routine maintenance costs and achieve the best cut possible. Fitted with our revolutionary LazerBlades™, RapidSET™ Height Adjustment System, SteadFAST™ Sealed Spindles, GammaFX™ Flails and much more. Our mowers are leading the industry in cut quality and innovation. Trimax mowers are backed up by our industry leading warranty period which also covers spindles and gearboxes. Our robust design, coupled with our experienced after sales service network ensures minimum downtime and increased productivity. Which of the following would you like to complete?